A screenshot from ‘FIFA 19’. What’s common to former Arsenal and England midfielder David Platt and Portuguese superstar Cristiano Ronaldo, apart from the fact that they both played for Juventus at some point in their careers? Ask fans of the FIFA video game series and you’ll get a quick response: Both Platt and Ronaldo have adorned the cover of a FIFA game. 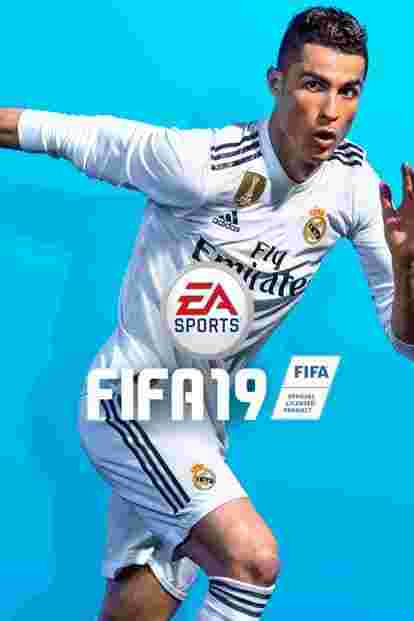 Platt was on the cover of FIFA International Soccer, the first title in the FIFA series, released in 1993 by EA Sports, while Ronaldo was on the cover of FIFA 18 and will resume his role as the cover athlete for the forthcoming FIFA 19, scheduled to be out in September. 2018 marks 25 years of the gaming title— as of December 2016, it had sold more than 150 million copies worldwide. Many believe FIFA still falls behind the likes of Mario and Call Of Duty, but its place in the pantheon of sports video games is guaranteed. It’s been an exciting journey from being first launched on the Sega Genesis—a 16-bit home video gaming console—to the Active Touch System in FIFA 19 that will improve the game’s fluidity. Over the course of these 25 years, there have been important milestones and turning points in gameplay improvement. For instance, FIFA Soccer 96, which was released in 1995, was the first game in the franchise to be released on the new generation of gaming consoles, including the PlayStation. It was also the first time a FIFA game had integrated real-time 3D graphics into the gameplay. FIFA 97 not only had the flamboyant David Ginola on the cover for some markets, it was also the first game to introduce commentary from the likes of John Motson and Andy Gray. Later titles added to the realism. FIFA 09 had an improved collision system, where elements like speed and power would simulate collisions between two players. Players had the chance to toggle weather conditions and the time of day in a match. User-controlled celebration was another first for FIFA 09. By FIFA 16, users could play with women’s national teams. It was also the first time users chose their favourite cover athlete. Australian football player Steph Catley became the first woman to be featured on the cover of a FIFA game. Lionel Messi (who was on the game’s global cover) and Tim Cahill were featured along with Catley in the game’s Australian edition. Some titles introduced gameplay features that immersed the user like never before. In FIFA 17, for instance, EA introduced the Journey mode where gamers could play as a fictional player, Alex Hunter, who is trying to cut his teeth in the Premier League. It allowed users to play in any up-field position for any Premier League club. 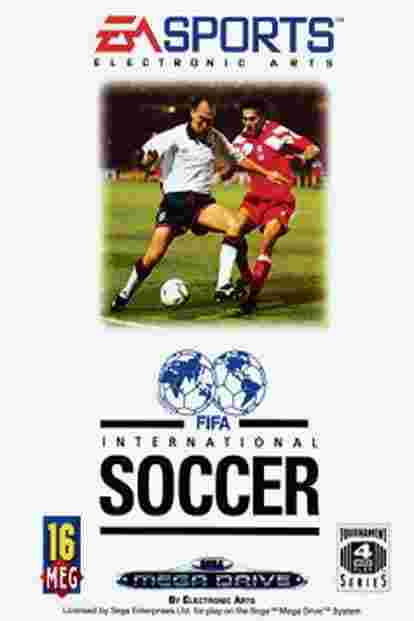 The game cover for ‘FIFA International Soccer’, released in 1993. In India, legions of gamers are passionate about the series. “It’s the one casual game everyone loves in our country. The FIFA game transcends all boundaries across all demographics. It has a high ceiling, but it’s easy to pick up and play. Every person who buys a PlayStation in India buys FIFA," says Akshat Rathee, founder and managing director, NODWIN Gaming, a Gurugram-based e-sports company. NODWIN Gaming organizes the national qualifiers in India for the Electronic Sports World Convention (ESWC) every year. The winners go to Paris for the main event of the international professional gaming championship. “We might not be doing that great in the real game but some of India’s best esports players (in FIFA) are ranked in the top 15 at the championships in Paris," says Rathee. For Sudin Dinesh, aka The Headmaster, watching the sport was not enough. “It developed out of my passion for the real game," says the 25-year-old professional gamer from Chennai. “Once I got the chance to control the players that I like, that passion turned into a profession… A lot has changed (in the game). It’s almost unrecognizable: the game engine, the mechanics of the ball, the way players move and defenders react, and the graphics as well. Every year, you can feel the game is becoming more realistic and more in tune with how real football works," says Dinesh, who started playing the game more than a decade ago (FIFA 08) on PC. The Chelsea supporter now practises on the Xbox, PS4 and represented India at the ESWC in Paris in November 2015. Rivalries have their own part to play in the world of football video games, which is divided into FIFA fanatics and the Pro Evolution Soccer (PES) purists. PES, for the longest time, held a slight advantage over FIFA due to its association with UEFA, the administrative body for football in Europe. But in April, Konami, the creators of PES, and UEFA ended their decade-long partnership which had allowed the Japanese company to feature the Champions League, Europe’s marquee club competition, in PES. With the addition of the Champions League to the FIFA franchise, FIFA 19 suddenly has the x-factor. Don’t forget the game’s revolutionary Frostbite 3 engine—known for its ultra-realistic animation and visual effects. In May, EA Sports used FIFA 18 and “brand new ratings from the 2018 World Cup update" to run a simulation of the tournament in Russia, including the final. It predicted France would win the World Cup. Maybe, next year, as the gaming world anxiously awaits the sequel to FIFA 19, EA should let users pick their superstar cover athlete. Kylian Mbappe, anyone? The Journey mode in FIFA 19—The Journey: Champions—will be the last chapter in fictional character Alex Hunter’s story. EA Sports has confirmed this mode will revolve around the Champions League. Derek Rae and Lee Dixon will be the special commentators for the Champions League matches. FIFA 19 will be available on all major platforms available in India: Microsoft Xbox One, Sony PS4 and PC. There will be three variants. For the PS4, the Standard edition (₹3,375) bundles five premium jumbo gold packs; the Champions edition (₹4,499) offers 20 premium jumbo gold packs; and the Ultimate Edition (₹5,499) offers 40 premium jumbo gold packs.